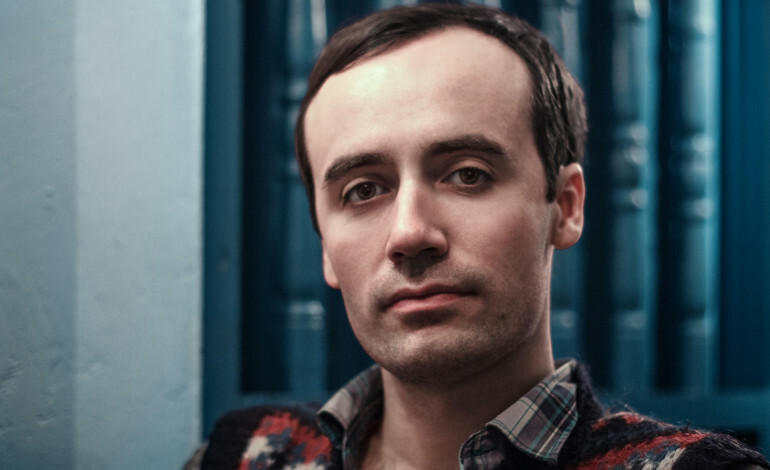 One half of duo Alternative/indie duo Grumbling Fur, Daniel O’Sullivan is releasing a new solo album in April through O’Genesis records, the label owned by Charlatans frontman Tim Burgess. Hear the track “Silhouette” taken from it below. O’Sullivan enlisted the help of avant-garde musician thighpaulsandra to record and mix the album. Due out on April 5, its release will be celebrated by holding a residency for two nights in Hackney at the Sutton House as part of the New Arts and Music Programme. Both nights will see O’Sullivan play music from the album and he will be joined by a variety of guests which will include thighpaulsandra. More information can be found at the events facebook page. O’Sullivan is an artist, composer and multi-instrumentalist who was born in Manchester. He has played a wide variety of styles including ne0-classical, progressive/psychedelic rock, free-form composition, cosmic jazz, minimalist drone, synth-pop and folk. He has collaborated with many other artists such as Stephen O’Malley, Alexander Tucker, Jarboe and David Tibet. He has also played with Suno))) live and joined the black metal band Ulver in 2010. Among his other collaborative credits are two songs he written for The Big Pink, namely both of their title tracks for their albums “A Brief History of Love” (2009) and “Future This” (2012). Other groups he has played in include Miracle, a synth-pop duo with Steve Moore from Zombi. Grumbling Fur is a project he formed with regular contributor Alexander Tucker. Their debut album “Furrier”, released in 2011 featured collaborations from Jussi Lethisalo from the Finnish bands Circle and Pharaoh Overlord and David Smith from Guapo. After releasing the session ep “Alice” , they released their second album “Glynnaestra” in 2013 on the Chicago-based label Thrill Jockey. It was met with much acclaim, being voted album of the year on The Quietus website as well being featured in Top 50 album of the year polls in magazines such as “Wire” and “Fact”. The third album “Preatanaturals” was released in 2014 on The Quietus’s own imprint Phonographic Corporation and was followed by the fourth album “Furfour” in 2016, once again on Thrill Jockey. They have also released two collaborative recordings with Charmalegne Palestine under the name Grumbling Fur Time Machine Orchestra in 2015 and 2017, both on limited vinyl editions. “VELD” was released in 2017 and notably took six years to record between 2010 and 2016.